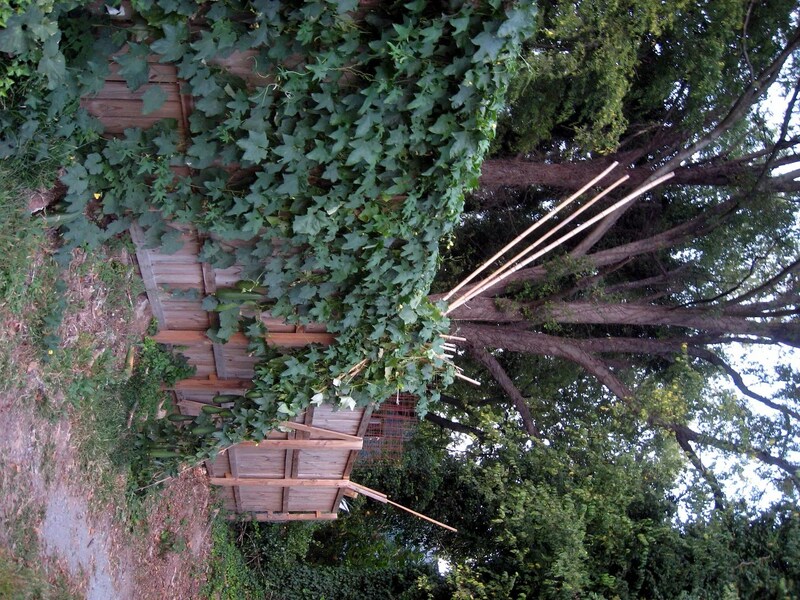 Or, “The story of the bamboo teeter tottering loofas”…. 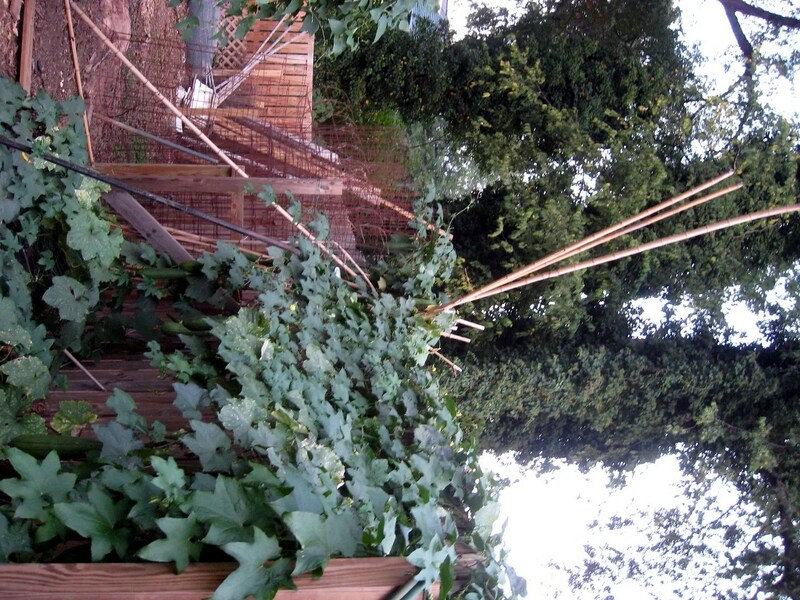 Last year I built a bamboo tower to showcase the birdhouse bottle gourd vines that would soon be taking over my back fence. 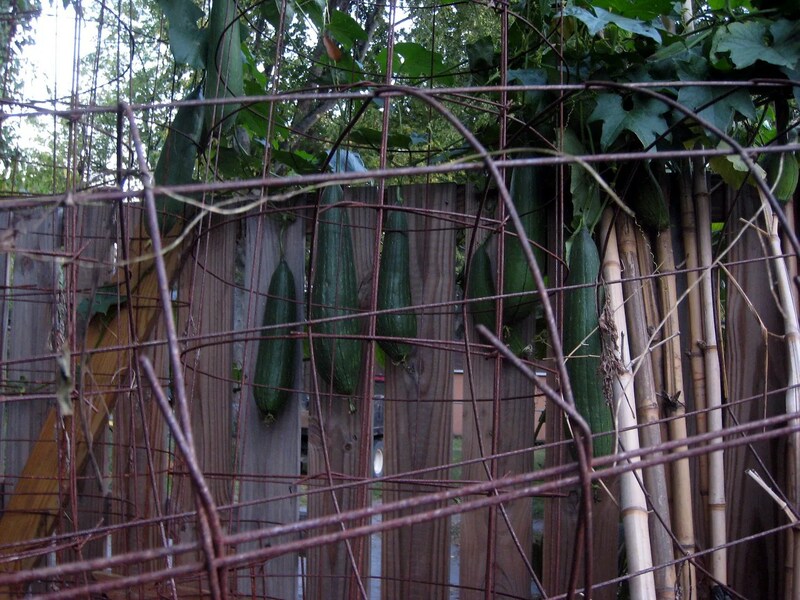 I was smarter than that this year; I left the bamboo leaning against the fence safely out of the reach of this year’s “luffa” gourd vines. Or so I thought….. The bamboo from last year’s tower was leaning on the fence to the right of this bunch, “safely out of the reach” of the vines. I had noticed that a spur had taken off up the bamboo a few weeks earlier but wasn’t concerned since the bamboo was leaning against the fence, and my mighty fence sure wouldn’t topple over. How many luffas had taken roost up in the top of the bamboo? I can only imagine how I would have reacted if I was standing there when it happened; I could even picture a slapstick scene where I was launched though the air over the asparagus patch. 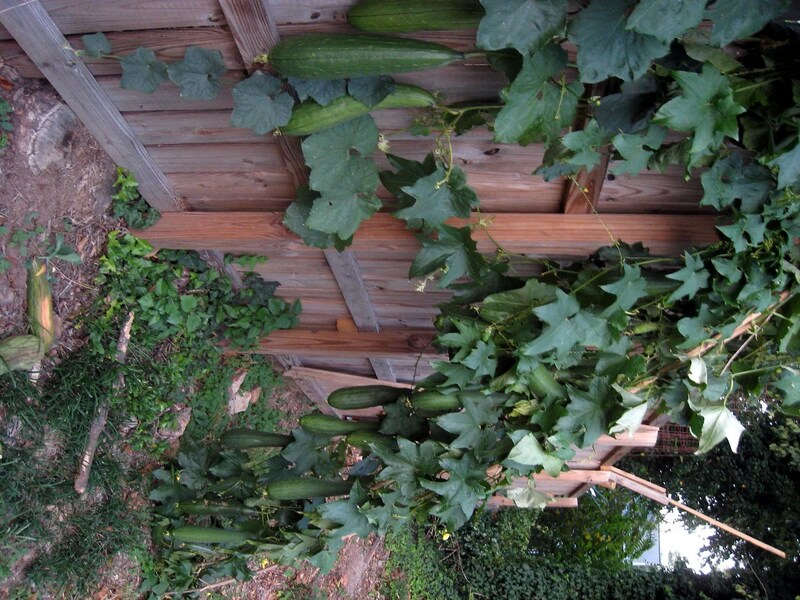 I forget that these things are still heavy like giant zucchinis; I keep waiting for some to start to brown and dry but I guess it isn’t happening until after Thanksgiving…..
That’s funny. I don’t see it launching you over the garden bed, but I’m thinking that a shot to the groin would happen.